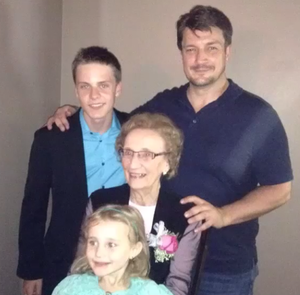 Nathan and his family(June,2014). . Wallpaper and background images in the Nathan Fillion & Stana Katic club tagged: photo nathan castle. 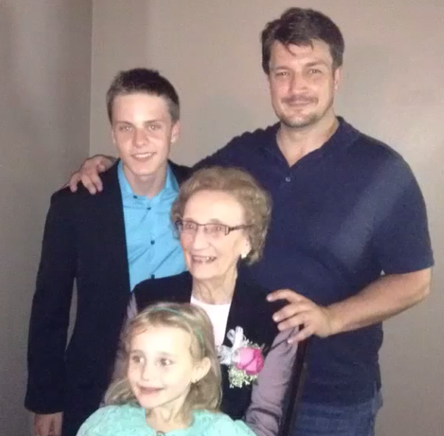 This Nathan Fillion & Stana Katic photo might contain wamevaa vizuri mtu, suti, suruali nyayo, pantsuit, mtu wamevaa vizuri, suti ya suruali, suti biashara, biashara suti, picha, headshot, and closeup.